A major department store at Northgate Mall, Belk, unveiled its $3.5 million renovations Wednesday with a grand reopening. Northgate Mall is slated to undergo one of its biggest makeovers in its 40-year-old history. A multimillion-dollar renovation to the interior and exterior of the Hixson mall will take place next year, according to owner CBL & Associates Properties Inc.
Also, an adjacent center will gain two new major stores, Ross Dress for Less and Michael's Arts & Crafts. The center, which already holds T.J. Maxx, will gain a major physical upgrade as well, according to CBL. The work is just the start of CBL's plans to revamp the shopping center it bought for $11.5 million in cash about a year ago, officials said. "This announcement represents just the first phase of our plans to revitalize the center," said Stephen Lebovitz, CBL's chief executive, in a statement. He said CBL will add more new stores and restaurants in the future. Michael Lebovitz, CBL's vice president of development, said work will start on renovating the mall next summer. The remodeling of the mall's interior will include new flooring, ceiling and lighting upgrades and repainting, he said. Plans also call for redoing the mall's main entrance, which faces the adjacent center, he said. That property, which formerly held a Carmike Cinema, will undergo a refurbishing that will include a new facade, the CBL vice president said. "We think this is a great step forward," he said. The work to the associated center should start in early 2013 and finish by next fall. The mall renovation will begin next summer and be ready for Christmas in 2013, according to CBL. Michael Lebovitz said the revamp is needed as the mall was neglected over the years by its prior owner, General Growth Properties. "The mall has a great location," he said. "It is in the heart of the Hixson sub-market." The mall currently is about 80 percent occupied while the associated center is less than half full, according to CBL. Michael Lebovitz said there needs to be an effort to fill up the available retail space in Hixson, and he questioned plans for a big mixed-use development nearby off Highway 153 near U.S 27. "A big developed site with unfinished buildings and vacant parcels is not healthy for the market," he said. Duane Horton, president of Scenic Land Co., submitted plans last year to put a 190-acre development near Highways 153 and U.S. 27. It included 148 acres of commercial development and a 42-acre, 280-unit apartment complex. But earlier this year, city planners recommended blocking the development that would level a Hixson hillside to create commercial space twice the size of Northgate Mall. The Chattanooga-Hamilton County Regional Planning Agency cited extreme traffic and environmental problems as reasons to oppose the project. But the company has indicated it may submit another proposal for the site. Concerning CBL's Northgate Mall project, people were upbeat about the plans. Kaye Hagadorn, of Red Bank, said last week that she likes Northgate over Hamilton Place mall in East Brainerd. "It's a lot more convenient," she said, adding there is much less traffic. 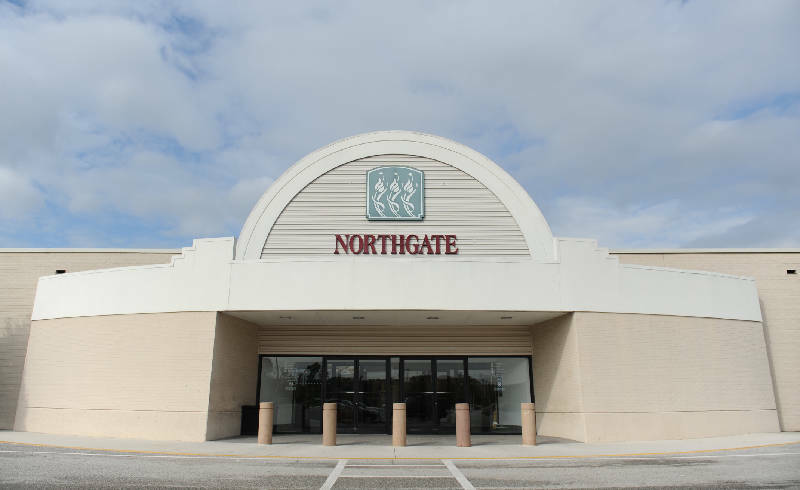 Martin Nobles, general manager of Northgate's Belk store, which itself just finished a $3.5 million upgrade, said the planned upgrades "will be a great offering for the community." "It's a community mall," he said. City Councilwoman Pam Ladd said CBL is bringing in new stores that Hixson has never seen. "There's no reason to go to Atlanta," she said. A development company whose principals are now associated with Chattanooga-based CBL originally built Northgate Mall in 1972. Charles Lebovitz, CBL's chairman, recalled last year that he signed every lease for each store that originally went into Northgate Mall. Michael Lebovitz said there is "a sentimental attachment" to the property. "We're proud we were able to buy the mall and make it better," he said.